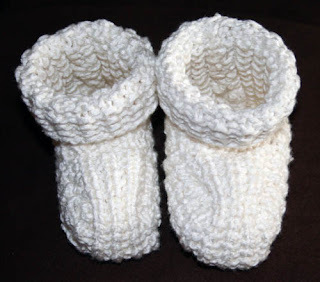 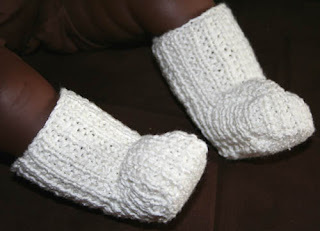 I wanted to make some knitted baby booties using this white organic bamboo. 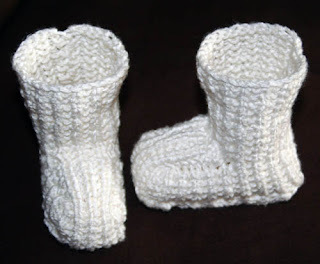 I usually crochet more than I knit but I wanted to try something different and more challenging to me. 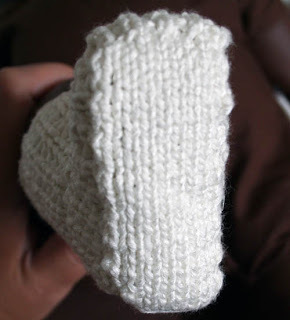 I adapted an old pattern to fit a NB size. 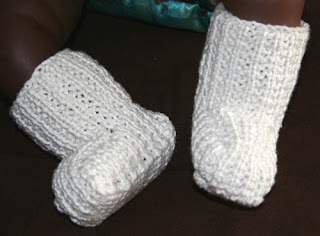 They're soft and comfortable, perfect to keep baby's feet warm.